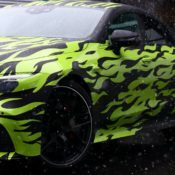 With only a few weeks to go until the debut of the production version of Mercedes AMG GT Four-Door at the Geneva Motor Show, AMG is trying to create some buzz for the car with this, a unique flame-themed camo-wrapped prototype. So no, this is not a CLS wrapped in Alabama by some redneck. Based on the AMG GT concept, the 2019 Mercedes AMG GT Four-Door is the company’s answer to Porsche Panamera. We have, of course, seen the car in concept form and we are familiar with its overall shape and appearance. 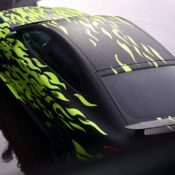 But if you look deep at these images here, in spite of the distracting flame wrap, you notice the production version looks even more dramatic what with all those curves and sculpted features. 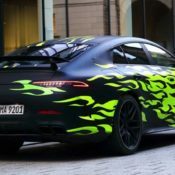 So maybe Mercedes AMG GT Four-Door is not really a rival for the Panamera, but the founder a new niche, kind of like what CLS did back in 2005 or whenever it was it first came out. 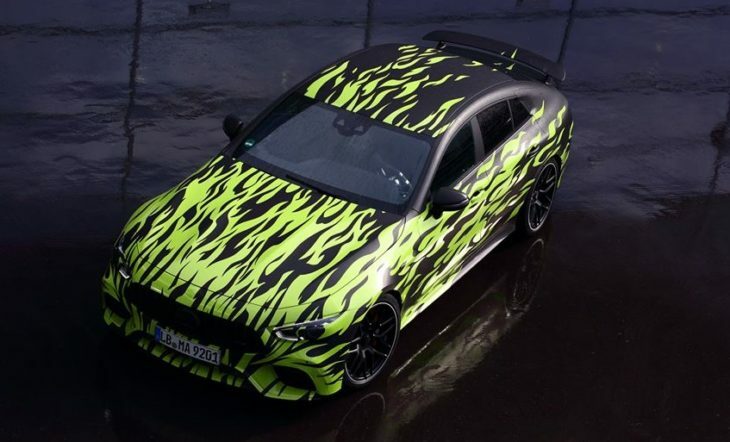 Under the skin the car is obviously very close to the AMG GT in terms of engine and drivetrain. But the chassis, suspension and other bits having to do with ride comfort and handling are probably borrowed from other Mercedes saloon cars. 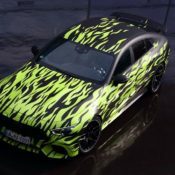 The post Mercedes AMG GT Four-Door Surfaces in Unique Camo Wrap appeared first on Motorward. G-Power Mercedes-AMG E63 S Estate: 800 hp, 1,100 Nm!